When my 12 year old got an Xbox One a couple of years ago, he needed a headset so he could play online with his friends. I didn't want to buy him anything expensive because he is hard on thins, being a typical tween. I bought him a pair at Big Lots that were $15, and he had them broken within a week. So, he used his own money and bought another pair, I thought maybe this pair would last longer since it was his own money. Nope. 10 days in, and also not working. That's when I decided to give in and go for quality in the hopes that they would last longer. We are now almost a year into our first Turtle Beach headset, and they are going strong! I realize now it wasn't that he was breaking the headsets, it's that the poor quality made them break quicker. Recently, we had the chance to try out the Turtle Beach XO Three headset, and both of my kids were SUPER excited! The TURTLE BEACH XO THREE officially licensed gaming headset for Xbox One delivers the unbeatable sound and quick access controls needed for multiplayer victory. 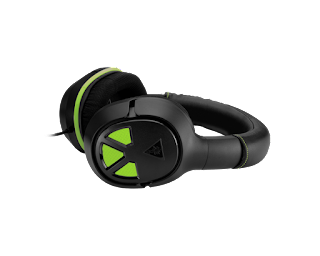 The XO THREE provides amazing game and chat audio through large, high-quality 50mm over-ear speakers while Turtle Beach’s renowned high-sensitivity mic picks-up your voice loud and clear. The XO THREE’s fabric-wrapped ear-cushions and leather-wrapped headband offer better breathability and added comfort for those hours-long gaming sessions, and the adjustable mic can be removed when watching movies and listening to music. Convenient in-line controls place Master Volume and Mic Mute right at your fingertips, and the standard 3.5mm connection makes the XO THREE great for using with other compatible devices. 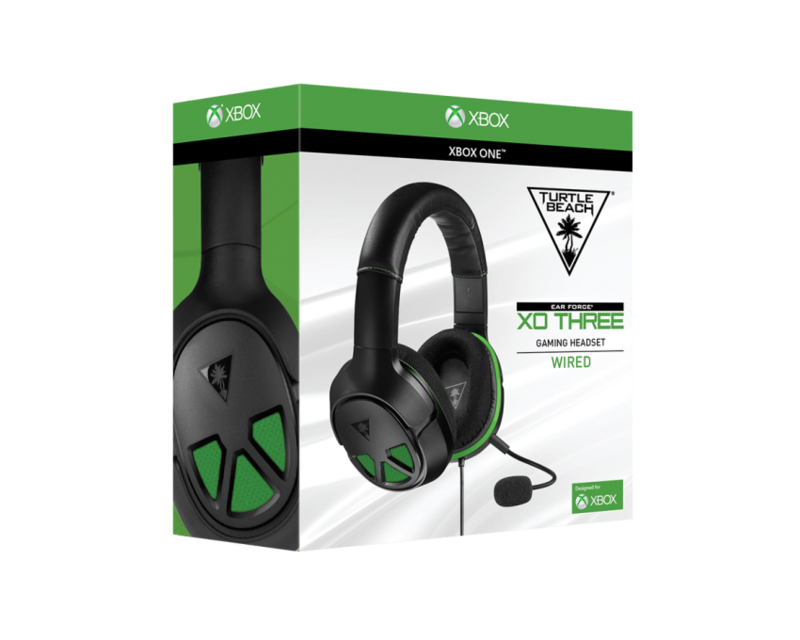 The XO THREE is also surround sound ready for Xbox One and compatible Windows 10 PCs. I gave both kids and my husband a chance to try them out, and they all had similar responses. Mostly things like "Wow, the sound is amazing!" and "I can't believe the mic cam be removed!" and "They work with the tablet too? NO WAY!" Overall, everyone loves this new headset, and I'm pretty sure I have to go out and get another one (or two) now so everyone can have their own. Rugged, Comfortable Design - The XO THREE has a thick, rugged and robust frame just like its XO FOUR STEALTH counterpart, with a plush leather-wrapped headband and breathable fabric-wrapped ear-cushions perfect for those hours (or days) long gaming sessions. Plus, the ear-cups fold flat when not in use. Convenient In-line Controls- The XO THREE’s convenient in-line controls place Master Volume and Mic Mute right at your fingertips. 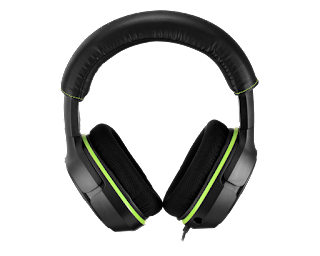 Surround Sound - The XO THREE is surround sound ready for Xbox One and compatible Windows 10 PCs so you can experience your games, movies and music with deeper immersion. Versatile Compatibility - Works great with Xbox One controllers with the 3.5mm jack, as well as with PC, Mac® and mobile/tablet devices with a 3.5mm connection. Older Xbox One controllers require the Headset Audio Adaptor (sold separately). High-Quality 50mm Speakers - Hear every crisp high and thundering low with these large 50mm over-ear speakers. The Turtle Beach XO Three Headset wont be available until July 16th 2017. but you can pre-order it online here.